The morning after the night before – waking up and feeling how Mark Lawrenson looks – tired, haggard and with no enthusiasm for life. That is until you remember there are three more World Cup matches to look forward to today. You might be bleary eyed following on from yesterday’s 12 hour marathon of football but you are ready to go again. This will be remembered as the World Cup that gave us a 2am kick-off and four games in one day. It will be something to tell the grandchildren about in the future – or alternatively something that will disclose only for people to look at you with distain and roll their eyes. You were there, sitting on the sofa, in that same groove since 5pm when you saw Gervinho score a World Cup goal at 3.22am. 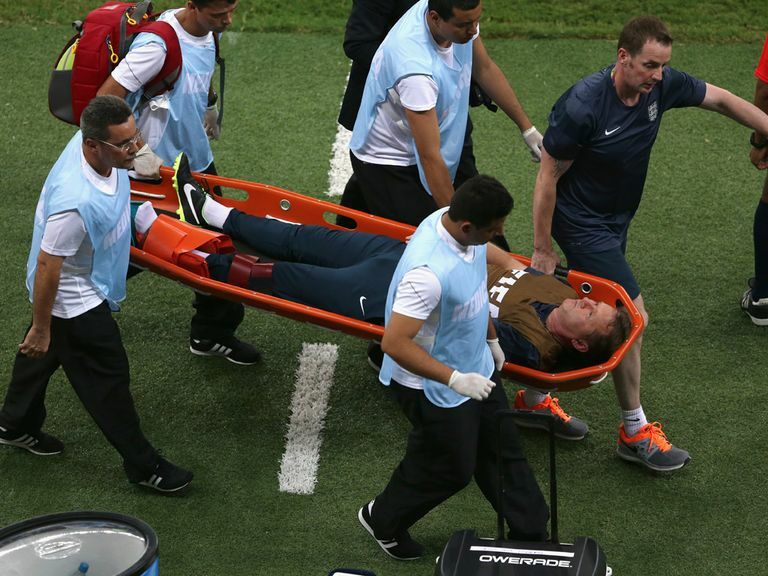 You were in that same position a few hours earlier when England physio Gary Lewin was stretchered off having injured himself celebrating a goal. The same groove when Maxi Periera saw red for Uruguay as Luis Suarez looked on from the bench. The groove that was just beginning when Colombia trickled in the first goal of the afternoon and celebrated in style. The groove that you will again form when Switzerland-Ecuador kicks off this afternoon, until the final whistle is blown at close to 1am following on from Argentina-Bosnia. If the past three days are anything to go by, goals are to be expected. Just two teams – Cameroon and Greece – have failed to register a single goal in the tournament. After eight games, the 2014 World Cup has already given us a glut of goals – 28 in total. In comparison to South Africa four years ago, goals were at a premium with just 13 scored after the same number of games. Thus far, Brazil is living up to its expectations. Let’s hope that it continues that way! ← World Cup 2014: Kick-off is here! World Cup 2014: Kick-off is here!